every year when the fourth of july rolls around i find myself wishing i had done a shoot to celebrate the holiday. so this year i finally did something about that! 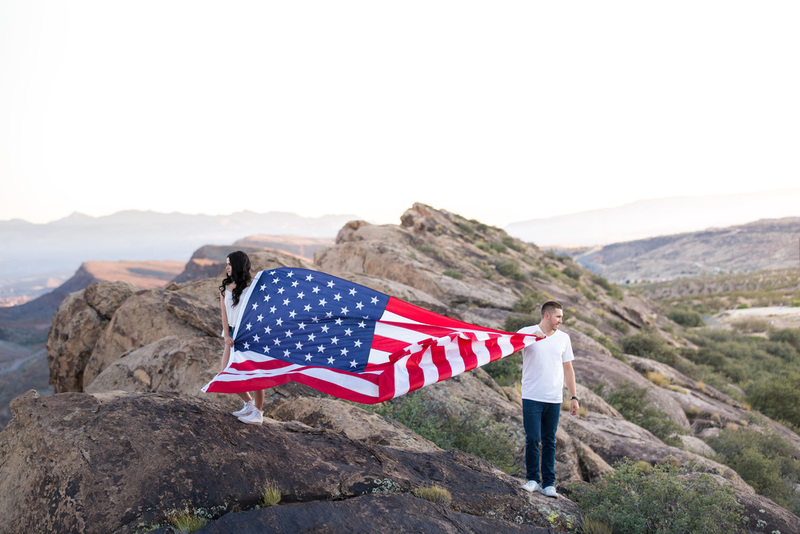 i went out with my good friend dustin with red tie cinema and this beautiful couple and shot some engagements on the top of a cliff with our nations flag. make sure and get to the bottom of the post and watch the amazing clip dustin put together. i had a blast shooting with this couple and can’t wait of their destination wedding in hawaii!